Today I was reminded of these words as I was listening to a Mark Driscoll podcast entitled, “Kiss the Feet,” where Driscoll explained that when he first became a Christian he asked a pastor what he should do now that he had made his decision. The pastor told him to go home and read the Bible–which Driscoll did. When he finished, he went back and asked what the pastor what he should do next. The pastor told him to choose a book of the Bible and begin to study it. 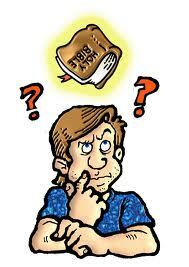 Read the book, read about the book, ask questions, and figure it out. Driscoll did just that. When he finished his first study, the pastor told him to keep doing that until he died. Good advice. 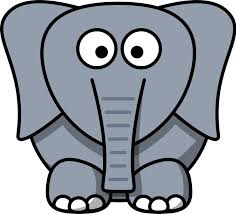 Reading and studying the Bible often seems to be a task equivalent to eating an elephant. I mean, really where do you start. I think my friend has the right idea–one bite at a time. Bible study begins well, it begins with a beginning. Like any daunting task, you just have to start, and then you keep going. Dads, if Bible reading and Bible study are a challenge for you, today I want to encourage you to rise to that challenge. The Word of God will change your life. It will change your family. It will change your children, and your children are looking for and are hungry for a dad who will lead them and guide them in the ways they should go. It may not be easy for you at first, and you may have to admit that there is some stuff you don’t know. You may want to give up. But, please don’t. It will most likely lead you to places, decisions and experiences you never imagined, allowing you, your family and even those in your circle of influence to know God in new and deeper ways. As you seek out His Word and His heart, the chances that your children will grow up to do the same increase exponentially. So take the challenge-one bite at a time, (or one book at a time), and have a great Dadderday today and in all your Dadderdays to come. Usually it seems as though the moms take on these kinds of jobs–y’know, things like Christmas crafts and family devotions. But what if this year, that was a little bit different? What if this year you initiated the spiritual side of Christmas? I’m not saying you have to do it all alone. If there is a mom in your family’s picture, I hope she would be willing to work with you on this one, but if not, don’t be afraid to jump in and tackle the December adventure known as advent. Advent simply means “coming,” as in Jesus is coming! Celebrating advent is a way to help your children, your family, to focus on that real meaning of Christmas we all hope to find. Advent is more than just calendars with candy and prizes, it’s a way to pass on our heritage as believers and to create a spiritual foundation for your children. 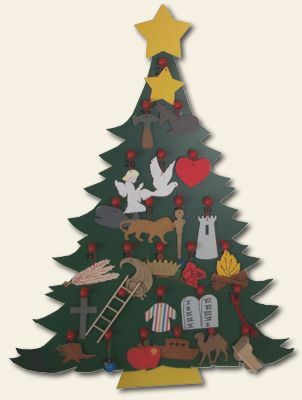 The Jesse Tree is a great way to not only engage your children, but to get engaged with your children and the Christmas story. The Jesse Tree comes from the book of Isaiah, “And there shall come forth a rod out of the stem of Jesse, and a Branch shall grow out of his roots” (Isaiah 11:1), and dates back to the middle ages. 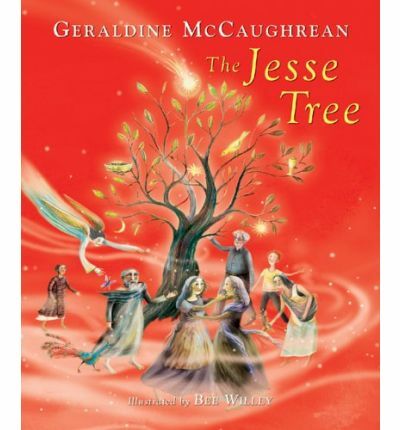 More recently Geraldine McCaugherean has written a delightful book that has interwoven a story that takes you day by day through the symbols of the Jesse tree. Each passage is a quick glimpse into the life of a local carver who is creating a Jesse tree and a local boy who comes to bother visit him each day subtley tricking him into telling the stories. Of course, as the stories unfold, so does the story. There are gajillions of ways to incorporate the symbols into your own family’s life. 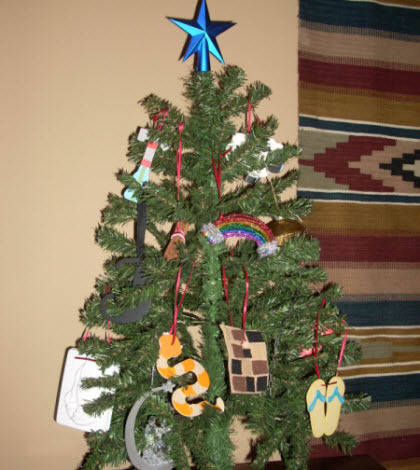 One is available here: http://printables.yourway.net/christmas/jesse-tree-ornaments/ free printables that would allow your children to color and create the symbols and gives you a scripture reading plan to coorelate them together. 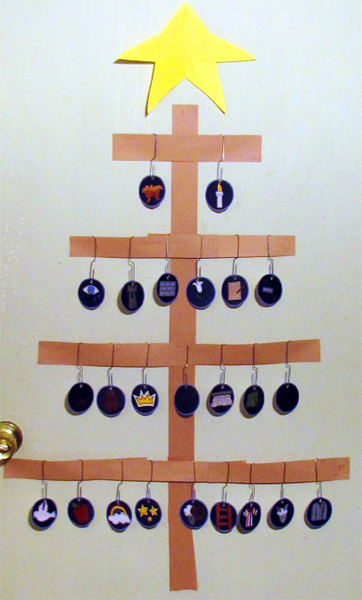 Leading your family spiritually can be a little intimidting sometimes, but c’mon dads, get in on the “Advent-ure” this December with your kids and The Jesse Tree, and make every day in December a Dadderday! . . .In its simplest form is a grown up thing. Yet, it is a grown up thing that affects us all–especially our children. 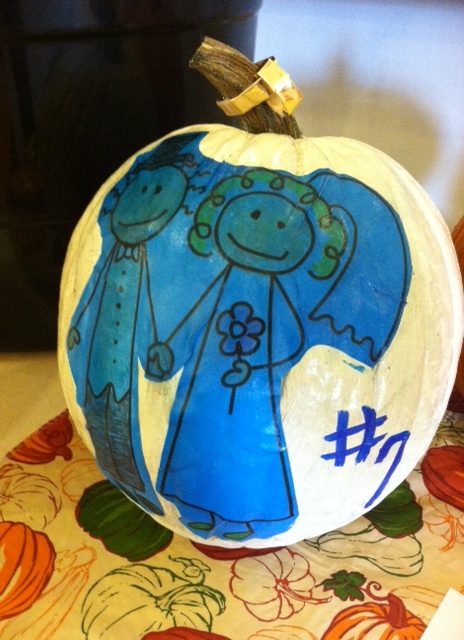 During the month of October in our children’s ministry, HiSKidZ were challenged to memorize the 10 Commandments. Towards the end of the month each small group chose a commandment and then decorated a pumpkin to represent that commandment. My older son joked from Russia, “Who’s going to get adultery?” Well, with 8 small groups and 10 Commandments, that one fell to me. As the kids were coming in they stopped to check out my pumpkin. A couple asked what is meant and I told them it was commandment #7 “Do not commit adultery,” and one replied quite nonchalantly, “Oh yeah, my dad did that.” Broke. My. Heart. Now don’t get me wrong, I know that dads are not the only ones who either initiate or commit adultery, but just because moms and people without children do it, too, does not make it right. But since today is a “Dadderday” post, I want to talk to the dads for a second. For your sake, for your wife’s sake, for your children’s sake, for the sake of the name of the Lord, for the other person’s sake. . . .
Stop acting like an adult-erer and begin acting like a child of God again. What can we do??? We can look at the other four parts of the verse that’s what can do. That’s 4-1 in favor of victory, and the fact that “the flesh is weak” is in there isn’t an excuse for sin; it’s a warning against it. Dads, I have no idea where you are right now in your life, your job, your home, your walk with God, but I know that there are little people watching everything you are doing, and your actions have consequences and cause responses and reactions, some of which you will have no control over. But this one you do. When it comes to the Ten Commandments, we teach HiSKidZ that the 10 are 2 and the 2 is just 1. The ten become “love God and love others.” And the two become one, “Love the Lord your God with all your heart, soul, mind and strength.” For when you live out the one, you want to live out the two, and when you are living out the two, you are living out the ten. So do whatever it takes to live out #1, and #7 will take care of itself. “It was hunting season. The weather was perfect and Pete and Joe set out on their latest trip, excited for what they would find. They were “loaded for bear” and hoped to have a good hunt. They went deeper and deeper into woods until the daylight seemed to turn to dark because of all the trees covering the sky. And these were the beginnings of the stories my husband used to tell our boys . . . before bed . . . when they were little! At the end of almost every Pete and Joe story someone was eaten, lost a limb, killed a bear, was killed by a bear, or experienced something that was somehow graphic, gruesome or generally gross. Miraculously, they always survived, with complete healing in time for the next story. And our boys loved it! Today, at almost 26 and 22, they still talk about their dad’s Pete and Joe stories. Years ago, when I first suggested to Tim that he could spend some quality time with the boys before bed telling them stories, I envisioned fables, virtuous tales or maybe a Bible story or two. Trust me; I did not ever imagine stories of Pete and Joe having their legs eaten off by Sasquatch! But the fact remains that Connor and Trevor both grew up with their dad passing on to them the legacy of storytelling. They couldn’t know it at the time. At the time they were just exciting stories of adventure, friendship, faithfulness and courage. Pete and Joe are a part of who they are now, and are a part of some of the precious memories they have of their dad. These stories, or at least the idea of these stories, are tucked away in their parenting toolbox for the day that they have children of their own. Even more than just stories from their dad, they had their dad. They had his undivided attention, and he had theirs. They had the man. They had their man, and he was teaching them what it meant to be a man, and a husband, and a father–in just about 20 minutes a night. Through storytelling, Tim instilled in our boys the stuff of fables, virtuous tales and even the truths of more than a few Bible stories. He just did it in his own way. Dads, that’s kind of what it’s all about. Take who you are and share that with your children. Share with them the things that were part of your childhood. Tell them true stories about your adventures and your friends or make up stories that will not only teach them, but reach them with your time, your love and your heart, passing on more than just a legacy of storytelling, but a legacy of you! You can’t really see them in this picture. Well, you can see Matt. 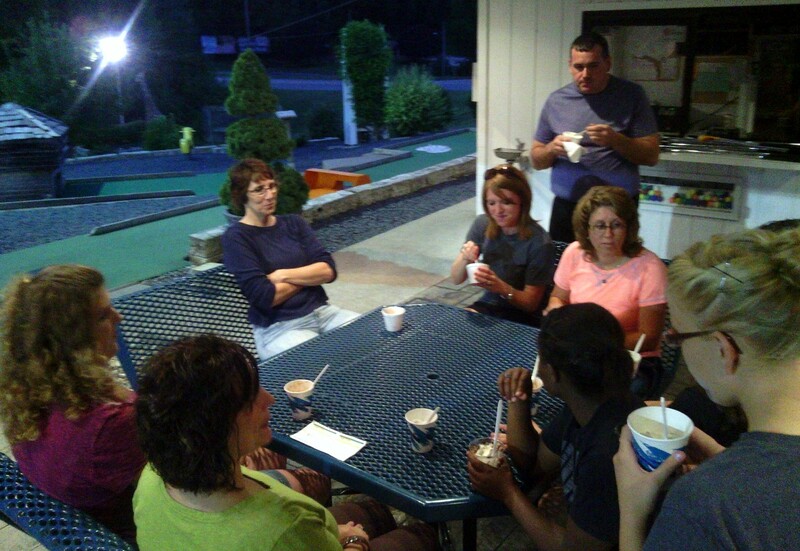 He’s standing right behind our ice cream loving group of female volunteers. Timmy is somewhere over to the side adding up the points trying to figure out who won from his team. 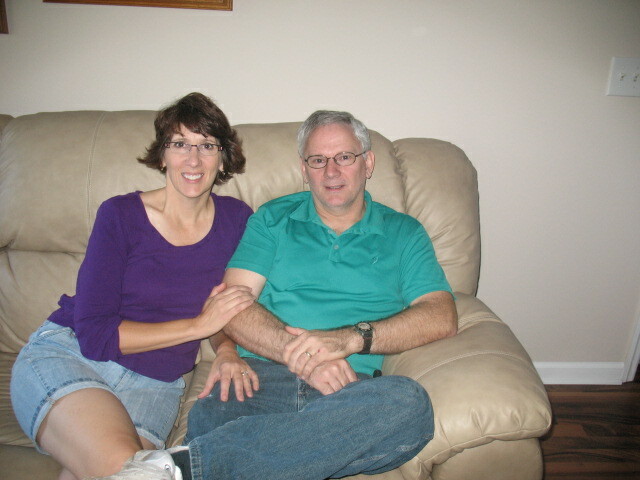 Jerry is sitting with his wife, Debby, on a bench, and my husband, the slightly infamous, “Mr. Tim,” is taking the pictures. We spent last night playing putt-putt golf as part of what we call “Destination Unknown.” A little event I try to plan every year for my Wednesday night leaders’ team. This is the first time we included the men. Sure, they were a little nervous. But they were great, and we had a great time with them there. These guys are those guys who are investing in kids lives whether their kids are grown, they’ve yet to have kids or their kids are part of the action. They are those guys who love God. Guys who, regardless of their age, continue to learn what it means to be a man of God. They are those guys who, though imperfect, do their best to lead, love, and live for Christ and to show their families, friends and our church what things like love, sacrifice and commitment mean. Oh those guys! I love them! I am thankful for them and I appreciate them more than they will ever know. There are others, and I believe there will be others. Other men who will refuse to stand down, continue to stand up, stand in and stand on making a difference wherever God leads them. If you are one of “those guys,” I applaud you. Literally, right now in my living room, I am giving you a verbal shout out and a ginormous “praisallujah!” As always on Dadderdays, I want to encourage you to stay the course (even in putt putt), don’t give up and don’t give in. Be the man God has called you to be today and every day. 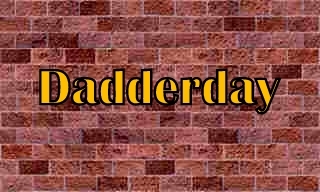 And have yourself a very happy Dadderday! Can I just say that I am thankful, like oh so thankful, that there are still mommas out there teaching their sons to open doors for women? Of course, I can say that, it’s my blog after all, but it would be wrong of me to do so. For one thing, it means I’m assuming it’s the mommas who are teaching their babies to be gentlemen, and that may very well not be the case. It also means I’m assuming the dads are not, which may also not be the case. I do know it’s becoming a lost art, and since today is “Dadderday,” I just want to spend a minute or two encouraging you dads out there to not give up when it comes to teaching and training your sons in the art and science of becoming a man. The kind of man who opens doors, provides for his family, works hard, plays hard and loves God and his family. Recently I’ve had the privilege of having a couple of doors opened for me, and I’ve also had the experience of having a couple of doors ’bout hit me in the face as some young, and not so young, bucks went through them before me. I bet you can guess which one was the more pleasant. Dads, I commend you for teaching your children to be honorable, respectful and responsible. 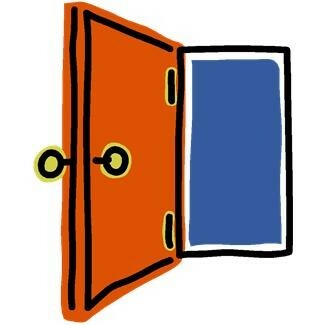 I’m thankful for those of you who are not only teaching your children to open doors, you are doing so with an open door policy of your own. In other words you are talking with your kids, you are listening to your kids and you are showing them by your example what it means to be a man, a dad, a husband and a father. So to you, dads, I tip my hat (figuratively anyhow), and say “thank you.” Keep up the good work and thanks for making your mommas, your daddies, your children and some random non face-smacked-by-a-door ladies very proud. One of the sons and I often have debates about the greatest song ever. His top favorite–“Sweet Caroline” by Neil Diamond. Mine is “500 Miles” by The Proclaimers. Seriously. Just think about it, except for the getting drunk part, the song is filled with the character qualities most women are looking for in a man. The qualities we want to be instilling in our sons. The qualities our daughters are looking for in the men they date and will someday marry. In this song I see faithfulness, hard work, reliability, sincerity, sense of humor (havering), perseverance, honesty, longevity, monogamy and love. Character qualities often missing in today’s society, and dads, these are qualities that need to be lived out and modeled to our sons, daughters and future generations. Would you walk 500 miles? And then walk 500 more. I hope so. I hope you are that guy. I hope you are raising your sons to be that guy. 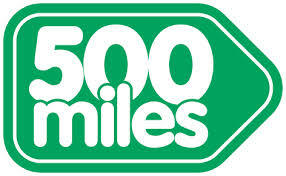 Be the guy who would walk 500 miles, and then walk 500 more. Go that extra mile, don’t give up. The “sweet Carolines” of the world need you! Me with the man who walks 500 miles for me every day! So thankful for the 28 years I’ve had with this guy!